Splatoon Manga gets a Web Anime adaptation! 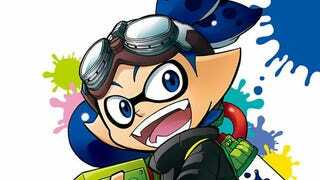 CoroCoro has announced that an anime adaptation based on the manga of Splatoon is being worked on. The manga is based on the popular Nintendo property that will launch it´s sequel this week. From what it is known it looks like the web anime won´t deviate from the manga. Splatoon is a Third person Shooter where the player is an Inkling, a being who can transform between a Kid and a Squid, and the love playing on different games using ink in order to defeat it´s opponent. I have read the manga and it´s incredibly funny, If you like Crayon Shin-Chan or Aho Girl, this is your alley!